The first explorers who came into contact with what would become known as Antarctica are thought to have been Polynesian. According to oral histories of Pacific Islanders it was around 650 AD that they first encountered Antarctic sea ice. Europeans wouldn’t make the discovery until almost 1,000 years later: In 1559 Dutchman Dirck Gerritsz became the first to describe land in the vicinity of the South Shetland Islands. For the next two centuries, Spanish, Portuguese, Dutch, English and French navigators venturing south of Cape Horn, described the “ice islands” of South America. But it was that intrepid explorer James Cook, who circumnavigated Antarctica from 1772 to 1775, and declared that there was land over the South Pole. His discoveries effectively established Antarctica as a continent. Russian Fabian Gottlieb von Bellingshausen is believed to have been the first explorer to actually spot an ice shelf on land. That was in January 1820, and a year later, a party from a US sealing vessel commanded by John Davis is thought to have made the first landing on the Antarctic continent, at Hughes Bay on the northern tip of the Antarctic Peninsula. Their reports encouraged more and more explorers and commercial vessels to try their luck on the White Continent but none was able to penetrate the interior. 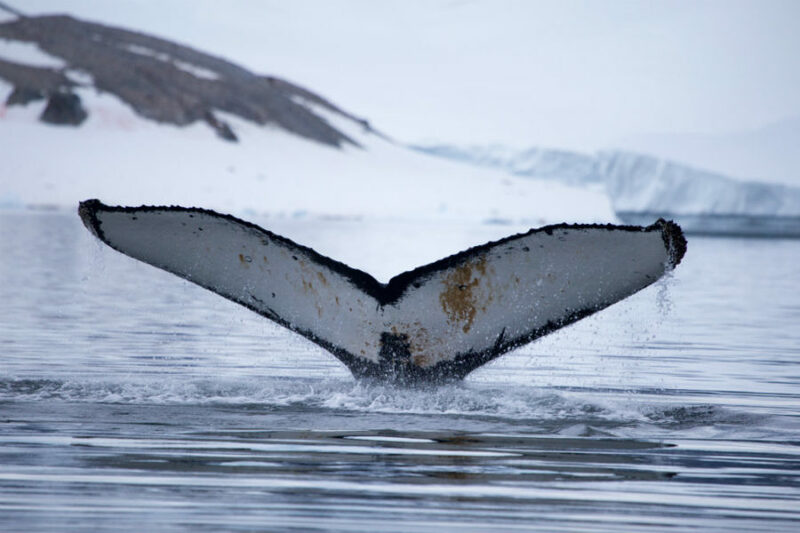 The descriptions of large numbers of whales and seals in the Southern Ocean from Cook and others who followed in his wake, spurred a wave of voyagers to Antarctica in the 19th century. Driven by the high demand for oil from marine animals like whales, and the demand for pelts from fur seals, large numbers of European and North American sealer gangs pursued their bloody trade in Antarctica from the 1820s. Over the next 75 years tens of thousands — perhaps even millions — of Antarctic seals were slaughtered, mainly for their oil and fur. Exploring the interior had to wait - and it wasn’t until the beginning of the 20th century that the most famous explorations of the continent took place. The dramatic and ultimately tragic race to the South Pole between British naval officer Robert Falcon Scott and Norwegian explorer Roald Amundsen in late 1911 captured the public’s imagination. Amundsen got there first, on December 19, after a two-month journey with four companions and a team of 52 sled dogs. Scott and his team arrived 33 days later, on January 17, 1912. But on the return trip, bitterly disappointed, exhausted, out of supplies, and caught in dreadful weather, he and his team all died in their tents. The Amundsen–Scott South Pole Station was later so named in honour of the two explorers. Other famous explorations followed, including the Imperial Trans-Antarctic Expedition of 1914-1917 by Ernest Shackleton, an attempt to cross the continent via the South Pole. His ship, the Endurance, became trapped by sea ice and the dreadful hardships and inspiring adventures by the crew as they tried to escape is possibly one of the most thrilling stories in Antarctic history. Teams from countries around the world continued exploring Antarctica in the first half of the 20th century, some looking for fame, others to carry out research. Women were not allowed to explore Antarctica until the 1950s, but Norwegian Ingrid Christensen made four trips to the continent with her husband on the ship Thorshavn in the 1930s, becoming the first woman to see Antarctica, the first to fly over it, and - arguably - the first woman to land on it. After the Second World War, a number of nations established bases on the continent which allowed for continuing national expeditions. Though several countries had overlapping territorial claims, the negotiation of the Antarctic Treaty in 1959 created a way for them to work together. Exploration continues in Antarctica, though now it’s predominantly research into the flora and fauna of the continent - scientific discoveries rather than territorial ones. However, there are still “firsts” being achieved, like Norwegian Børge Ousland’s first unassisted Antarctic solo crossing in January, 1997. This vast and fragile area is slowly giving up its secrets, but there are still plenty of questions to be answered and breakthroughs yet to be made. It’s unusually brief, but the Antarctic Treaty has been hailed as one of the most successful international agreements ever signed. The Treaty, with just 14 articles, was signed in 1959 by 12 countries, including the US, the UK and the then USSR. The 12 had been active in and around Antarctica in 1957-58. Since then, many more countries have signed up to the Treaty. There are now 52 signatories including China, most of Europe, Canada and North Korea. Under the terms of this unique agreement, the signatories agree to consult each other on the uses of the continent and are committed to not allowing it to become part of any international discord. The Treaty parties refer to Antarctica as “a natural reserve, devoted to peace and science”. The Treaty cements international cooperation which it says, “accords with the interests of science and the progress of all mankind”. Antarctica shall be used for peaceful purposes only (Article 1). Freedom of scientific investigation in Antarctica and cooperation toward that end … shall continue (Article 2). Scientific observations and results from Antarctica shall be exchanged and made freely available (Article 3). The Treaty not only ensures international scientific cooperation, it also addresses countries’ territorial claims. No activities can be taken as a claim to territorial sovereignty, and while the Treaty is in force, no new claim for territory can be asserted. The Treaty also protects Antarctica as a nuclear-free zone. There can be no nuclear explosions there, and no disposing of radioactive waste. A system of inspections is built in to the Treaty to make sure that all the signatories comply. Since the original signing other measures and protocols have been added. 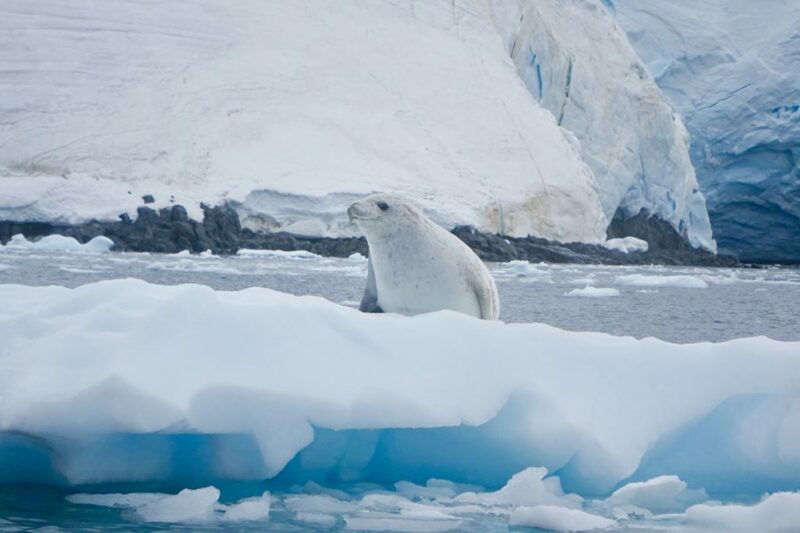 The Agreed Measures for the Conservation of Antarctic Fauna and Flora in 1964, for example, recognises the scientific importance of studying the continent’s plants and animals, but because of their uniqueness, lays down measures to protect them and ensure their “rational” use. In 1991, the adoption of the Protocol on Environmental Protection designated Antarctica as a natural reserve, “devoted to peace and science” and it prohibits all activities relating to Antarctic mineral resources, except for scientific research. And when Antarctica began to be seen as a tourist destination, the Antarctic Treaty Consultative Meeting (ATCM) established guidelines governing tourism. They include limiting the areas open to tourists, and regulating how they should act once they get there, to ensure they cause no damage to the environment or to any scientific work being done. And tour operators must submit reports of their visits. 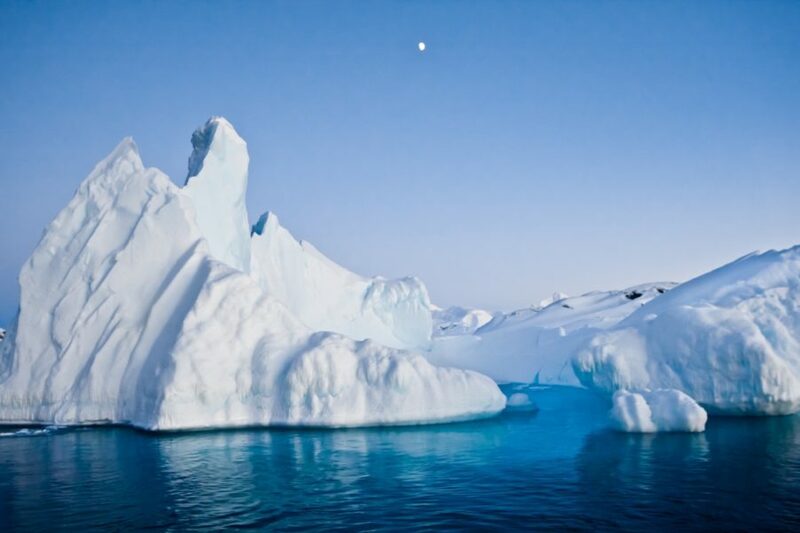 The Antarctic Treaty is still in effect, and the signatories meet annually. It will, undoubtedly, continue to be adapted as new concerns are raised over how best to protect this unique and incredibly valuable part of the world. Visitors to the Antarctic see at first hand an ecosystem like no other. The continent is so far from other land masses that everything that lives there had to either swim or fly. There are no land mammals and no land predators, and consequently, the animals that do live there have no fear of anything on land, including humans. 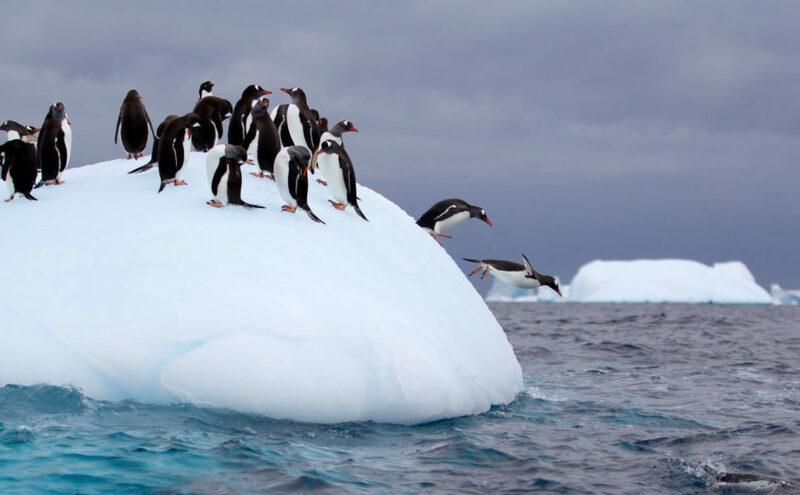 Interestingly, and this is a feature common to both polar regions, although the number of species in Antarctica is relatively small, there are huge numbers of individual animals. The surrounding ocean is highly productive, so there is a plentiful food supply. It all means that for the creatures that have been able to adapt to the harsh environment, there is little competition. So what wildlife can a visitor expect to see? It’s an impressive list: Large baleen whales such as humpbacks and southern right whales come to the region in the summer to feed, and then move on for the winter, heading to the tropics to breed. Orcas, penguins and seals breed in the Antarctic and then take to the sea to feed. Depending on the location, visitors could see several species of penguins, such as gentoos, king penguins (in South Georgia), chinstraps, Adélie penguins, rockhoppers and macaroni penguins. Add to the list elephant seals, weddell seals, crabeater seals, leopard seals and Antarctic fur seals, and of course there’s a huge variety of flying sea birds -- various species of albatrosses, petrels, fulmars, skuas and the kelp gull. Timing is important, as is location. The season runs from the end of October to the middle of March. Later in the season, around February, more whales will have arrived and there should be plenty of chicks in the bird colonies. Seals are there throughout the season, but later in the season some penguins will have gone. On board your ship will be several expert guides, helping you to spot the wildlife and explaining the significance of what you see, with all the information you need to understand this unique ecosystem. Your guides will be highly qualified. Some are former scientists who have carried out Antarctic research in their own right or he or she could hold a doctorate in marine biology and be highly experienced in the region. For those trips that make landings (see Options, px), getting to land is a slick operation. After the guests have enjoyed a hearty breakfast, inflatable boats -- Zodiacs -- are lowered and the guides pilot them towards shore for the first visit. Then it’s back to the ship for lunch and another visit in the afternoon. Like the first trip, this could be a landing or a cruise in the Zodiac. Sometimes there can be a trip before breakfast and perhaps after dinner, but two trips are standard -- all dependant on local weather and conditions! On so-called “sea days” while cruising, it’s usual for the guides to give presentations on a range of subjects, such as ecosystems, glaciology, climate change, geology and the continent’s history and politics. The lectures will be informative, and we try to keep them reasonably entertaining. As well as the stunning wildlife, visitors will also see first hand the effects of climate change. It’s most apparent around the Antarctic Peninsula, where changes to rainfall and other weather conditions are making life harder for some penguin populations, particularly the Adélie and chinstrap penguins. Rising temperatures have also led to a continuing invasion of king crabs from Patagonia. Antarctic waters used to be too cold for them, but in recent years thousands of these predators have been climbing up on to the Antarctic Shelf. Native Antarctic crustaceans and molluscs have adapted to the cold and light, but they have never had such a powerful, shell-crushing enemy and their thinner shells offer little defence. For the king crabs, it is like a free-for-all buffet table. We don’t yet know the full scale of the problem, but experts believe it could be devastating. Effects of climate change are made worse by the increasing acidity of oceans. It’s often referred to as “the other CO2 effect” because acidity increases as more CO2 is dissolved in water. This harms the breeding success of krill -- a small crustacean which is probably the single most vital part of the Antarctic food chain. Whales, seals, fur seals and penguins, as well as other birds, all eat krill. And if they don’t eat krill, they eat some other creature that does. But it’s not all bad news. There are robust protections in place and there are things that visitors can do to help keep the continent in good shape. The Protocol on Environmental Protection to The Antarctic Treaty defines Antarctica as a region devoted to science and peaceful activities, where no commercial activities are to be conducted except for well-regulated tourism and fishing in certain areas. What we can all do whether we visit the continent or not, is to adjust our behaviour to mitigate climate change that is affecting the entire planet, Antarctica included. And always visit beautiful and precious Antarctica with a company that is a member of IAATO (International Association of Antarctica Tour Operators). That is the guarantee that environmental protection rules will be strictly implemented. Antarctica, the icy, white giant at the southern end of the world, seems as if it will slumber unchanged forever. But that’s far from the truth. Antarctica, like so many parts of the world, faces constant change as outside forces exert their will, consciously and unconsciously. I have been studying the polar regions for nearly three decades and am particularly interested in an important but often overlooked element of the Antarctic ecosystem -- the small plants and tiny invertebrates that live in the water and on the ground. Things like mosses, lichens, mites and tardigrades may not be as photogenic as the mammals and birds that we see in photos. But they are in fact critically important to the Antarctic ecosystem, and offer important signals for conservation in the continent. Although climate change gets a lot of press (and it certainly affects Antarctica), it actually isn’t the major threat to land-based ecosystems. There are two limits on terrestrial (land-based) biology -- low temperatures, which limit energy, and the lack of liquid water. Climate change, in the areas where it is occurring, is lowering these limits, causing warmer temperatures in the summer and longer thawing seasons with more liquid water. This means that native terrestrial plants and animals will generally face less restrictive constraints, and will benefit from these changes. You see larger populations, more growth within a given summer, and increased areas of habitat occupied. And ice retreat makes yet more habitat available. At the micro scale at which these organisms live, they already experience wide variation on a daily basis -- the scale of that variation is much greater than the overall climate warming trend. The picture is quite different in the marine ecosystem. In contrast with that on land, life in the Southern Ocean is abundant and diverse. Perhaps the largest physical difference is the thermal stability of the marine environment, often varying a couple of degrees or less over the annual cycle. This means some native organisms are unable to cope with even small changes in temperature. Such organisms, which often do not have the option of ‘moving somewhere else’ to avoid warming, appear to be very vulnerable to the expected temperature changes. Furthermore, this ocean is the most immediately vulnerable of the world’s oceans to the effects of acidification -- while the implications of this for shell-building organisms remains under intense debate, short-term experiments show evidence that acidification does lead to damage to these organisms, especially to early juvenile stages. Although the picture is complicated, one thing is for sure: Humans are the greatest threat to conservation in Antarctica. As more and more people visit the continent, there is more opportunity for new species to travel there too, riding along on the soles of boots or falling from backpacks and pockets. Though new species can arrive naturally, current data suggests that it is 100 times more likely for new species to travel to Antarctica with human help. The risk of invasions is also clear for the Antarctic marine environment, although with far fewer documented occurrences. And this is where a changing climate can have an impact. As the climate gets less extreme, an ever greater proportion of invasive species will be able to survive in Antarctica. These new species can outcompete and replace native Antarctic ones, which have not evolved to deal with such competition. Along with bringing non-native species, humans are also responsible for damaging the continent, both deliberately and inadvertently -- from trampling a patch of moss, which can take decades to recover, to something more complex such as building a new research station, which can destroy habitats. But this does not mean that the continent’s future is entirely bleak. There is a great deal of momentum and interest in the Antarctic science community, and in the Scientific Committee for Antarctic Research and the Antarctic Treaty System (ATS), in developing robust and effective approaches that deliver conservation. On an individual level, visitors to the White Continent can help ensure the health of Antarctica by following the guidelines laid out by the ATS. These include staying on established tracks to help minimize the impact to the soil and vegetation, respecting wildlife, and taking measures to avoid the introduction of non-native species. I used to be a penguin biologist. It was my dream job at the time. I studied Adélie, chinstrap and gentoo penguins on Signy Island, part of the South Orkney Islands off the Antarctic Peninsula, for a National Antarctic Programme to investigate how their breeding and foraging patterns altered in response to changes in food supply. I lived with no more than seven other people at a time for six or seven months each year, sometimes spending days on my own in a tiny field hut. We felt wonderfully isolated and privileged to be living in a place teeming with delightful wildlife and achingly beautiful scenery. Learning about the busy lives of breeding penguins made me laugh and cry in equal measure. I was proud to be part of an international science community doing research in stations and field camps across the vast continent. Occasionally I would start at the sudden appearance of a fishing vessel off the island because I was so unaccustomed to seeing any other signs of human life. I gave very little thought to tourism. At that time, tourist vessels did not come near our little island and I was only vaguely aware of their presence in other parts of the continent. I was therefore apprehensive when I was offered a job studying penguins at an historic site farther down the Antarctic Peninsula, now managed by the UK Antarctic Heritage Trust, that did receive visitors - thousands every season. I understood tourism to be a legitimate activity under the Antarctic Treaty System but knew very little about it. I was concerned that the operators and their clients might not care about Antarctica’s special environment and wildlife as I did. I even wondered if tourism should be allowed at all. But what I saw was a revelation. I remember smiles, warmth and wonder. I was impressed by each visitor’s sense of awe at what they were seeing and experiencing. I marvelled at the professionalism of the ships’ crews and staff, their great knowledge and attention to the smallest operational details to support safety and environmental care. This was my introduction to the International Association of Antarctica Tour Operators (IAATO), an association founded in 1991 to advocate and promote safe and environmentally responsible Antarctic travel. Everyone, from crew to staff to visitor, was - and is - subject to a strict code of conduct that seeks to mitigate potential impact and keep Antarctica pristine for generations to come. Back then, as a government scientist, I had to spend a portion of my time communicating my work to the public who were funding it. I enjoyed that immensely, but it was a challenge explaining the significance of Antarctica to someone who may never see it. In comparison, talking about the White Continent to someone experiencing its raw beauty first-hand, is easy. IAATO operators include in their itineraries workshops, seminars and lectures which are delivered by a range of experts. Visitors can participate in science, art or photography programmes, or engage with scientists at stations or field sites. Time is also allowed to observe and soak up the incredible surroundings, sometimes noisy, sometimes deafeningly quiet. It was a community I wanted to be involved in and I’m proud to now work for IAATO, helping its members fulfil their mission and achieve their vision of creating a corps of ambassadors for Antarctica’s continued protection by providing enriching, educational and environmentally sensitive journeys to the White Continent. The desire to visit Antarctica continues to grow, presenting challenges and opportunities for the Antarctic Treaty parties who manage human activity in Antarctica. Meeting the obligation to protect the continent and fulfilling the needs of those who wish to visit, work or fish there, takes collaboration and cooperation on a grand scale. 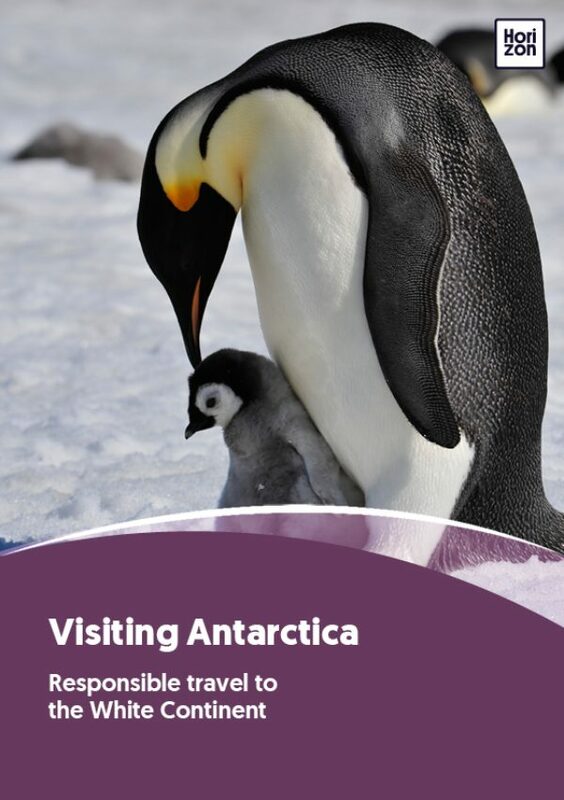 If you’re planning a trip or thinking of visiting Antarctica with an IAATO operator, you can be confident that your visit will meet and exceed requirements for safe, environmentally responsible travel. However, you must also do your part in ensuring that your presence has only a fleeting impact on the environment there. Although you’ll be sent pre-departure information about your obligations, do as much as you can to understand them before you go. Scrub all your equipment and clothing to avoid introducing non-native species, and listen carefully to your guides and the briefings. Above all, savour your experience. Watch, listen and smell. Be still. We all have a responsibility to care for Antarctica, but none more so than those lucky enough to experience it first-hand. This extraordinary continent is worth conserving for its unique wildlife and incredible landscapes. But it is also crucial as an engine of ocean and climate systems that sustain us all. Perhaps, as I did, you might make a pledge to a passing penguin about how you will take action for our planet, even if it is simply to stay informed and spread the word.